MoCSSy Modelling Workshops are held on the following Fridays, 11:30-13:00 in IRMACS ASB 10940. Everyone is welcome! MoCSSy hosts a weekly Graduate Seminar Series. During this series, graduate students in the MoCSSy program give talks based on their thesis research and other personal research. Join us on the following Fridays in the Fall semester from 3:00 to 4:00 pm in room IRMACS ASB 10940. ABSTRACT: A major youth justice policy issue in Canada is the difficulty of providing rehabilitative programs for violent and mentally disordered young offenders. Furthermore, many of these youth remain in the community for the majority of the time and thus remain at risk. This presentation will provide a brief overview of the developmental theories regarding violent and mentally disordered offending, and challenges to providing effective treatment programs for these offenders. In addition, two specialized probation caseloads established in Vancouver, British Columbia to address the specific needs of these young offenders will be discussed. As recent research on serious and violent young offenders suggests that participation in specialized probation services is likely associated with lower recidivism rates, this presentation presents preliminary results from an examination of the two specialized probation. The sample is comprised of 89 young offenders who were referred to specialized youth probation between 2004 and 2010 in Vancouver. Using static and dynamic risk factors that predict serious recidivism, and Cox proportional hazard models, recidivism among the two sub-populations of young offenders was assessed. Results were consistent with existing literature and also shed light on an interesting phenomenon regarding gang affiliated youth. ABSTRACT: Sleep apnea is a common sleep disorder which characterized by the repetitive cessation of breathing during sleep. In order to diagnose sleep apnea, overnight evaluation in sleep laboratories with dedicated personnel, adequate infrastructure and special acquisition systems are needed which make this diagnosis an expensive procedure. Due to the cost and relative scarcity of diagnostic sleep laboratories, it is estimated that sleep apnea is widely under diagnosed. Therefore, there is considerable interest in the development of reliable low cost techniques for the identification of subjects with sleep apnea. Sleep apnea monitoring requires measurement and assessment of both respiratory flow and efforts in order to detect apnea periods and also classify them into obstructive and central ones. In this study, a method for estimating respiratory flow and efforts by using three small accelerometers is proposed and tested in different sleeping postures and variable flow rates. The three accelerometers were mounted on suprasternal notch, thorax and abdomen of 20 healthy subjects in supine, prone and lateral positions. The accelerometers were used to record the upper airway acceleration (ACCS), chest wall movement (ACCTh) and abdomen wall movement (ACCAbd) due to respiration. Simultaneously we recorded nasal/oral flow (Fnasal) with a nasal cannula connected to a pressure transducer and also recorded respiratory efforts (VTh and VAbd) by dual strain gauge transducers mounted on two belts. We estimated the upper airway flow using ACCS, ACCTh and ACCAbd signals and respiratory efforts using ACCTh and ACCAbd signals by means of machine learning techniques. To assess the agreement of estimated signals with the well-established measurement methods, we calculated the standard error of measurement (SEM) as ρ =1-SEM for every posture and flow rate. The agreement between estimated and actual flow signals for all subjects in all conditions was found significant (ρ =0.83). For estimated thorax and abdomen efforts, calculated ρ was 0.82 and 0.89 respectively. Additionally, we assessed the agreement of Fest and Fnasal by the ratio of time at the tidal peak expiration flow to the expiration time (tPTEF/tE). The mean difference of tPTEF/tE ratios for estimated and actual signals was 0.051 (std=0.033) within and between subjects for all conditions. Besides that we calculated the start time and also the duration of breath cessations. Results demonstrated the feasibility of using upper body acceleration as the simple solution for long term measuring and monitoring respiratory features. ABSTRACT: Marek’s disease virus (MDV) is an avian oncogenic alphaherpesvirus and results in Marek’s disease (MD), a fatal T-cell lymphoma. MDV is a threat to all farmed chickens and is currently controlled by attenuated live vaccines (administered to all battery chickens before hatch). Interestingly, unlike conventional vaccines that rely on the host immune response, the MDV vaccine protects against disease in a very unique way that has yet to be revealed. Unfortunately because of MDV’s increasing virulence and due to the way chickens are now farmed, vaccine breaks have occurred in the past. This suggests that the current MDV strain could become resistant to the available vaccines. Uncovering this unique relationship in order to aid vaccine development is therefore becoming increasingly pertinent. This project aims to construct a tool to allow the visualization of MDV and its vaccine in vito so that the protection mechanism may be visualized. This novel information has the potential to aid vaccine development not only for MDV but could possibly influence diseases that may not yet have a successful vaccine. ABSTRACT: Mindful meditation has proven effectiveness in alleviating chronic pain. However, traditional meditation techniques are not easily accessible to non-meditators and require weeks of training to be effective. The Transforming Pain Research Group at Simon Fraser University is researching ways to make mindfulness more accessible to chronic pain sufferers through virtual reality and other technologies. In order to determine the effectiveness of these alternative techniques, we need to both define and measure mindfulness, which can be problematic, given the difficulty of quantifying mental phenomena. Potential solutions are discussed. TITLE: Visual Cue Reactivity and Substance Use: Using ERPs to Assess Components that Differentiate Users and Non-Users. ABSTRACT: Substance abuse/dependence is an ever-increasing global problem. A great deal of interdisciplinary work has been done to help intervene and prevent an increase in incidence and prevalence rates worldwide, and insights from neuroscience and neuroimaging work may be able to shed light on what is happening in the brains of substance users when they see cues that have become associated with their habitual behavior. An overview of the fMRI and ERP techniques is provided, and the findings from 2 ERP studies that I conducted are presented. One of these studies investigated trait chocolate craving, and the ERP components that distinguished cravers from non-cravers when they passively viewed chocolate and bland food pictures are highlighted. The second study looked at cue reactivity in a sample of marijuana dependent participants, and behavioral results in addition to the ERP components that differentiated this group from a control group that had never tried the drug are summarized. Lastly, the results from the 2 previously mentioned studies are used to provide a context for a third study that is being conducted now, where ERPs are being used in an effort to identify biological markers that predict relapse in smokers who are attempting to quit the habit. Clinical implications for these findings are proposed. ABSTRACT: Anabolic-androgenic steroids (AASs) are used as a performance-enhancing drug (PED) in professional athletics. After being banned and tested for by anti-doping agencies, chemist developed "designer steroids" that would be undetectable by doping tests. One example of this occurred in 2001 when the owner and CEO of Bay Area Laboratory Co-operative (BALCO) hired a chemist to design tetrahydrogestrinone (THG)-an undetectable AASs-which he, and other BALCO associates, circulated to several high-profile athletes throughout the following two years. In 2003, BALCO associates, as well as professional athletes with ties to BALCO, were indicted in a legal investigation that lead to the Major League Baseball (MLB) and BALCO "steroid scandal." This study utilizes newspaper and magazine articles, books, and recorded interviews to reconstruct the BALCO network. Social network analysis (SNA) techniques are then used to analyze and compare the BALCO network to other illegaly operating drug distribution networks. The study concludes by discussing the findings as they relate to drug trafficking. ABSTRACT:While crime has been on the decline in most urban centers for the past few decades, this has not been the case in rural type areas. Despite the vast array of theoretical constructs purporting to explain crime and criminality, few, if any, have been specifically developed for a northern / rural context. This is particularly problematic for Canada since the vast majority of the population resides within 10 miles of the 49th parallel suggesting the vast majority of Canadian geography can be considered rural. While we do know that urban centers are distinct from rural areas, it is unclear whether traditional macro differences, and the corresponding macro criminological theories, are sufficient to account for crime disparities between these areas in any substantive manner. The current evidence suggests further theoretical development would be well suited with integration of cultural and social differences for the purposes of explaining the cause of crime and criminality in northern and rural contexts. ABSTRACT: This research reports on the qualitative findings from a sample of 25 purposively chosen injection drug users (IDUs) interviewed to examine the context of the safe injection site in transforming their lives. Further, the purpose is to determine whether the first and only supervised injection facility in North America, InSite, needs to be expanded to other cities. Audio recorded interviews were transcribed verbatim and analyzed thematically using NVivo 8 software. Findings suggest attending InSite has numerous positive effects on the lives of IDUs including: saving lives, reducing HIV and HCV risk behavior, decreasing injection in public, reducing public syringe disposal, reducing use of various medical resources and increasing access to nursing and other primary health services. There is also an urgent need to expand the current facility to cities where injection drug use is prevalent. ABSTRACT: The therapeutic use of cannabis has been documented by historians, social scientists and the medical profession.Opponents; however, argue that much of the findings are largely based on personal opinion and hearsay. Over the past 40 years there has been a growing body of research examining the medicinal applications of marijuana through more objective measures; often through double blind and placebo controlled studies of cannabis and its analogous pharmaceuticals. The findings from these studies have been mixed and suffer from high dropout rate and issues with the tools of measurement, but overall evidence suggests that cannabis is effective in the treatment of pain, nausea and emesis, appetite stimulation and glaucoma. Cannabis appears to be less effective in the treatment of spasticity. Upon review of the literature it is evident that future research needs to focus on smoked marijuana rather than synthetic compounds such as dronabinol or nabilone. Secondly, there needs to be more studies comparing the efficacy of cannabis to other drugs currently being used to treat the same condition, ailment or disease. ABSTRACT: This research examines the criminal careers of high frequency adult offenders supervised in the Chronic Offenders Program (COP) at the Vancouver Police Department. The results present an overview of criminal career parameters including age of onset, prevalence and age offence counts. In addition, the dependant variables of individual offending frequency (termed lambda) and specialization are examined. This study is situated within developmental and life course criminology which is a field of study that examines the patterns of offending and its correlates over the life course of individual offenders. Typically, research in the field employs a birth cohort design that analyses patterns of criminality of offenders and non-offenders that are tracked into young adulthood. Arguably, the most important and contentious finding is that a small proportion of offenders are responsible for the majority of self-reported and officially recorded crime. However, low volumes of high frequency offenders limit research that uses the cohort design. The research presented here assesses the empirical and theoretical assertions derived from life course research on a sample of high frequency offenders. The results indicate that lambda estimates that include and exclude incapacitation time differ significantly and the choice of the definition has consequences for regression models used to predict individual offending frequencies. ABSTRACT: During recent decades, by growing the needs for using computer based systems in different scientific fields, software and systems engineering has become a challenging area. Developing a software intensive system requires a methodological approach which provides the development team with a set of foundations and practices. Different kinds of software development methodologies (including practical and formal methods) are established for various types of projects with their specific goals. It is noteworthy that there is no such a methodology that can be applied for all situations. In this presentation, we are introducing one of the lightweight formal methods, called Abstract State Machine(ASM), and some of its applications. The ASM method is a mathematical framework for modeling different kinds of discrete dynamic systems, including sequential, parallel and distributed systems, at any desired level of abstraction. The ASM method use different concepts of computational logic and discrete mathematics. TITLE: Terrorism: what is it and how can we model it? ABSTRACT:The term 'terrorism' is so contentiously and widely defined that no single perspective as to what it constitutes is likely to be sufficient. Three main perspectives emerge in considering contemporary scholarship and policy on terrorism: behavioural/psychological, phenomenological/tactical, and strategic/organisational. Under the first perspective, terrorism is understood as the product of psychological processes. These processes are usually presented as models of how individual or groups shift towards radical or extreme views, and develop a willingness to commit certain acts of violence. Under the second perspective, terrorism is viewed as a category of tactical actions. This perspective is most prevalent in law, as it allows security and policy experts to identify specific kinds of transgressive actions. Models under the phenomenological perspective would focus on incidence of 'terrorist' actions, such as bombings or assassinations. Under the third perspective, terrorism is understood as a strategy chosen by some individuals or organisations that involves the application of certain means (such as the ability to carry out tactical action) towards certain ends (such as those specified by a radical ideology). ABSTRACT:The general public is often shocked and horrified when learning of the deviant and violent acts committed by adolescents today. Researchers seek to identify which factors influence teen behaviour in the hopes of better understanding and, perhaps, prevention of such future occurrences. That is the goal of this research. Using a diathesis-stress model as the foundation for explaining adolescent criminal and deviant behaviour, a series of regressions were conducted which allowed for the inclusion of historical, empirical findings regarding adolescent biology (diatheses), psychology, and social contextual factors. The goal of the regression series was to determine which combinations of factors would be most likely to predict deviant and violent behaviour. The validity of the model was tested using data taken from a 17-year national adolescent health survey of 6504 adolescents in the United States (The ADD-Health Survey). The results of this research suggests that the diathesis-stress model can account for effects over and above those considered primary and unidirectional for the influence of factors such as residential disorganization, low socio-economic status, non-biological parents, educational problems, anxiety, and addictions. Of particular interest is this model’s application to the better understanding of adolescent decision-making associated with entry into organized criminal gangs. This relationship is highlighted through the special attention paid to the role of drug production/distribution and the violent victimization linked to these activities. ABSTRACT:A fuzzy cognitive map (FCM) was introduced by Kosko as a modelling approach that is easily understandble by experts of a particular domain, and can incorporate imprecision. We will first provide a selected review of the literature by looking at successful uses of FCMs in radiotherapy treatment and brain tumor characterization. Then, we will give an overview of the importance of FCMs within the research currently done at MoCSSy. The second part of this talk will be devoted to outlining the key steps to build an FCM using a large number of research articles. In particular, we will show how sentences are extracted and assigned a weight, which highlights the need for automatization of text processing. ABSTRACT:Sentiment analysis is the automatic extraction of information about opinion and subjectivity from text and speech. In this talk, we describe our current research in sentiment analysis. The Semantic Orientation CALculator (SO-CAL) uses dictionaries of words annotated with their semantic orientation (polarity and strength), and incorporates intensification and negation. We describe the process of dictionary creation, and our use of Mechanical Turk to check dictionaries for consistency and reliability. SO-CAL is applied to the polarity classification task, the process of assigning a positive or negative label to a text that captures the text's opinion towards its main subject matter. We show that SO-CAL's performance is consistent across domains and in completely unseen data. We also describe current research on using discourse information to improve performance. ABSTRACT: Traditional models of behaviour change impose a linear, deterministic approach on a complex and chaotic system. Failing to account for the complexity of behaviour change, such as interdependencies and feedback loops, limits the usefulness of interventions based on these theories. Based on a clear definition of feedback, we are developing a feedback classification to help develop strategies for enhancing existing feedback and creating new feedback loops that will benefit behaviour change interventions. In particular, we focused on two important dimensions identified from the literature: balancing loops versus reinforcing loops, and outcome feedback versus process feedback. This novel framework presented here may be useful in developing new tools to provide patient centered care that supports behaviour change and in analyzing the effectiveness of current interventions. ABSTRACT: Recent accelerated climate change, more frequent extreme weather conditions, and natural disasters have affected our health and lifestyles. This is especially true for seniors, more sensitive to extreme temperatures, humidity, and pollution. Current methods of evaluation and treatment of the resulting diseases are not oriented at correlating the cause with effect, but rather concentrates on managing the consequences. Furthermore, during abnormal environmental events, health services are overwhelmed with patients and may reduce their standard of care making the entire system inefficient. We propose to use wireless technologies to enable real time remote monitoring of cardiopulmonary signals and subject activity in correlation with local environmental conditions. MoCSSy Semester-End Presentations - Friday December 2nd from 9:00 to 11:30 in room ASB 10900. MoCSSy Semester-End Presentations - Friday April 8th from 10:30 to 2:30 at room 10900. ABSTRACT: Studying mechanical response of biological molecules at microscopic level is crucial for better understanding of their function. Optical tweezers are instruments that enable scientist to study mechanical properties at microscopic level. It is based on a highly focused laser beam that creates a trap for microscopic objects. Dielectric spheres attached to molecules, viruses, bacteria, living cells and organelles can be trapped and manipulated by applying forces in the pico-Newton range. Our group uses optical tweezers to study mechanical properties of structural proteins such as collagen and elastin, from single molecule extensibility through microrheology and, with holographic optical tweezers, micromaterial properties. In this work, the optical trapping technique and how it is used for studying structural proteins at the single molecule level will be discussed. ABSTRACT: Digital interactive storytelling has greatly changed our experience with story and interactive media. Benefiting from technological advancement and incredible popularity, story-based digital games are clearly the most prosperous and most widely played of all interactive narrative forms. Narrative design for such games, however, is often under studied in the current practice of game analysis due to the lack of a mature discourse model specifically for games and interactive narratives. To facilitate a deep understanding of game narrative, powerful analytical instruments are needed to characterize game narratives and describe how narrative works in games. Through applying and extending classical narrative theories, this research develops a descriptive-analytical framework that helps observe how game narratives are constructed, what narrative techniques are used, and how structures and techniques affect the narrative and gameplay experience. With discussion of several examples, this presentation will demonstrate how to use the framework to systematically unravel how various narrative principles operate in games and interactive narratives in general. At the end, the talk will touch on possible applications of the framework and encourage discussion of its implications for the content design for interactive systems. ABSTRACT: Cellular automata (CA) are part of a suite of models that handle spatio-temporal components of dynamic phenomena. CA are appropriate for modeling physical phenomena because they both act at small scales but result in patterns at larger scales. Often, large-scale patterns are directly fitted with a statistical model, such as the Universal Soil Loss Equation (USLE). To obtain a better resolution for the USLE (which operates at the slope level), a spatially disaggregated CA model was developed, using the components of the USLE. Rainfall erosivity; vegetation cover derived from satellite imagery; and slope characteristics were incorporated into the model. In addition, soil depth and soil erodibility attributes derived from polygon soil data (digitized from existing soil survey maps) were included. The developed model was tested on Bowen Island, British Columbia, Canada where soil redistribution predictions were made for 100 years. Soil depth change ranged from a 3cm loss to a 23cm accumulation with greatest loss on hilltops, and greatest accumulations in convergent areas. Proof of quantitative equivalence to the USLE, incorporation of spatially-explicit soil attribute data (soil texture, depth, erodibility, and bulk density), and an assessment of the impact of neighbourhood size are areas for future research. This model has the potential to assist in long-term habitat, ecological, and resource management as well as contribute to digital soil mapping. ABSTRACT: A common approach to tackling high salt consumption is to act at the population level, through actions such as government governmental policies or changes in the food industry. However, this study shows that individual decision-making can also play a key role in daily sodium consumption, which as a result should encourage industrials to reduce the salt content in their products. We recorded the salt content of food sold in several supermarkets in France and Canada. We find that, within a category of produce, tremendous differences exist in salt content. Thus, by comparing labels, individuals are able to undertake noticeable changes. Furthermore, we examine the relationship between the price and sodium content in grains, meats and vegetables. ABSTRACT: Canada and its allies have identified the vulnerability of sea-lanes, their ports and harbors to a variety of threats and illegal activities. With a total length of over 243,000 kilometers, Canada has the longest coastline of any country in the world. Scarce surveillance and tracking capabilities make it difficult to perform large volume surveillance, keeping track of all marine traffic. To facilitate surveillance operations, decision support systems play a key role, but it is difficult to do real world experiments in all cases. Therefore, computer simulation is the next best solution for evaluating different algorithms and analyzing various situations. However, generating appropriate test cases is a complex activity which is not efficient to do manually, so we need to have an automatic (or at least semi-automatic) approach. Generating realistic and concrete test cases (vignettes) for marine safety and security domain is the main goal of this project. We are building software for generating vignettes, which facilitates the simulation process of different situations and scenarios by users, and the testing and evaluation of algorithms by developers. SPEAKER: Jonathan Cinnamon. PhD Candidate, Department of Geography, Simon Fraser University. ABSTRACT: More than 90% of injury-related deaths occur in low and middle-income countries (LMIC). Injury surveillance – the collection, analysis and interpretation of data concerning injury in populations – is rare in LMIC, thus, little is known about its causes, the spatial context, or the populations at risk. Two major barriers to surveillance are access to software and trained personnel. Free and easy-to-use Web technologies may facilitate the removal of these barriers. A pilot study was conducted in Cape Town, South Africa to assess the feasibility of using Web 2.0 and Geospatial Web tools for injury surveillance, as a substitute for more costly and sophisticated licensed software. Epidemiological data were collected and visualized at a major hospital’s trauma unit using lightweight Web applications. Outcomes of this study suggest that Web 2.0 and GeoWeb applications could facilitate streamlined data collection, management, and visualization. This presents an opportunity for hospitals with constrained resources to engage in injury surveillance, however, both the usability and utility of such a system must be established. ABSTRACT: In August, 2009 the City of Surrey, British Columbia implemented a Closed Circuit Television (CCTV) system at the Scott Road Park and Ride facility. The CCTV pilot project was employed to reduce auto-related crime at the commuter parking lot adjacent to Scott Road Station--a major rapid transit hub in Vancouver's lower mainland. The current study evaluates the effectiveness of the intervention over the one year pilot project. Using several sources of data including local police crime incidents, insurance claim records, and a victimization survey, the impact of CCTV on two types of auto-related crime (theft from motor vehicle and theft of motor vehicle) were considered. A three year period leading up to the intervention was used to formulate a baseline of crime in the City of Surrey and the north region of the Corporation of Delta. The one year pilot project time frame was then considered to evaluate the impact of the intervention. Specifically, this evaluation focuses on significant changes in the amount and type of auto-related offences, fear of crime, the broader trends of auto-related crime leading up to and through the intervention time period, as well as any displacement effects. ABSTRACT: Fuzzy cognitive mapping (FCM) is a method for analysing and depicting human perception of a given system. The method produces a conceptual model which is not limited by exact values and measurements, and thus is well suited to represent relatively unstructured knowledge and causalities expressed in imprecise forms. FCMs describe particular domains using nodes (variables, states, inputs, outputs) and signed fuzzy relationships between them. The nodes of the FCM stand for the concepts that are used to describe the behavior of the system and they are connected by signed and weighted interconnections representing the causal relationships that exist between the concepts. FCM can describe any system using a model having signed causality (that indicates positive or negative relationship), strengths of the causal relationships (that take fuzzy values), and causal links that are dynamic (i.e. the effect of a change in one concept/node affects other nodes, which in turn may affect other nodes). They were applied to a large number of diverse application areas and have already gained momentum due to their simplicity and easiness of use. ABSTRACT: Automated planning techniques have made possible the automation of complex decision making. However, traditional planning algorithms assume full knowledge and predictability; it is very rare that agents in the real world can rely on either of these. This indicates a need for planning that can change dynamically and operate continually during execution. While effective planning algorithms exist, such as Hierarchical Task Networks (HTNs), it is not clear exactly how such an algorithm should best fit into a system. I propose a high-level model to show how this can be done within the context of an Observe, Orient, Decide, Act (OODA) loop. This model contains the essential features of a robust and flexible planning system, and is meant to act as a base design for continual planning systems in general. I have written the model specification in the CoreASM formal language, and linked this to the MDA INFORM Lab simulation environment for testing in Coast Guard-type situations. For earlier talks go to the list of MoCSSy Graduate Seminar Series abstracts. View Past Speakers and Archived Videos. 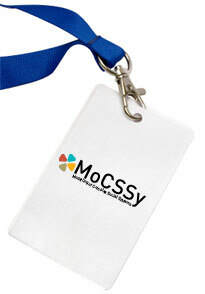 Contact MoCSSy for more information on its events or to be put on the MoCSSy events mail list.